JUST A SHORT NOTE TO LET YOU KNOW HOW MUCH I ENJOY YOUR NEWSLETTERS. IT IS SO NICE TO OPEN UP YOUR MAIL AND FIND YOUR CARD SAMPLES WITH THE ACTUAL PAPER SIZE AND COLOUR. THANKS AGAIN. Let's make this a PIF Weekend. Please take the time to post a comment or email the blogger that shares her/his passion with you. 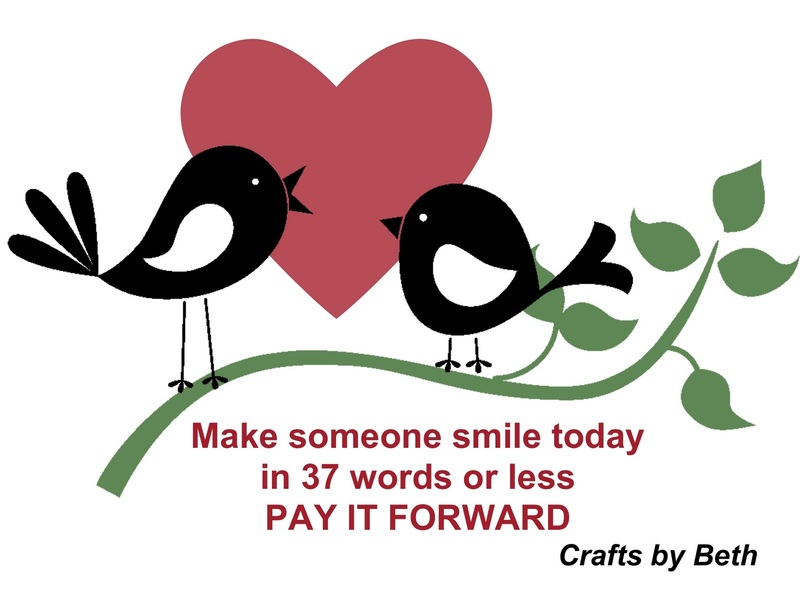 Pay it Forward!! Just thirty-seven words made my day!